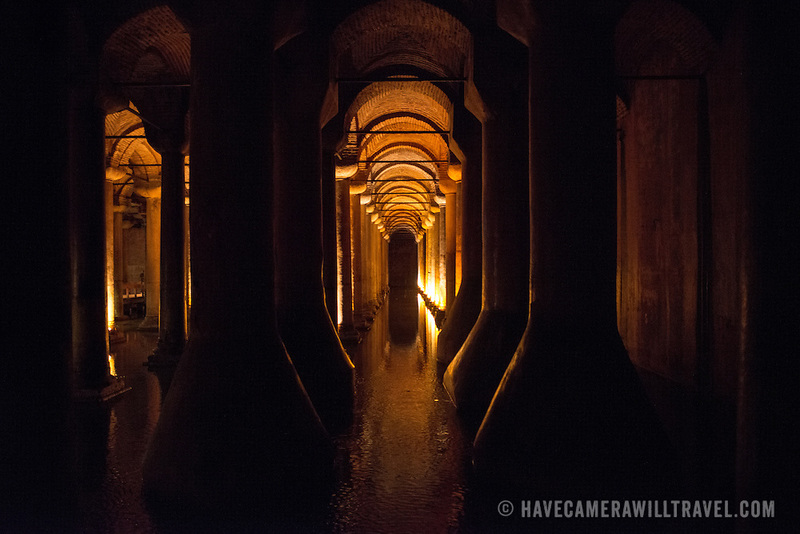 The Basilican Cistern is located in the historical peninsular of Istanbul in the Sultanahment district. It was built in the 6th century during the reign of Justinianus. It's 140 metres long and 70 metres wide. There are 336 marble columns, each 9 metres high, arranged in 12 rows of 28 columns. Most are in the ionic and Corinthian styles, although a few are Doric style. The water comes from the Belgrade Woods, 19 kilometres north of the city, transported by aqueducts. Among Roman age art sculptures are two Medusa's heads carved into columns.